And as promised we’re back again with another analysis. 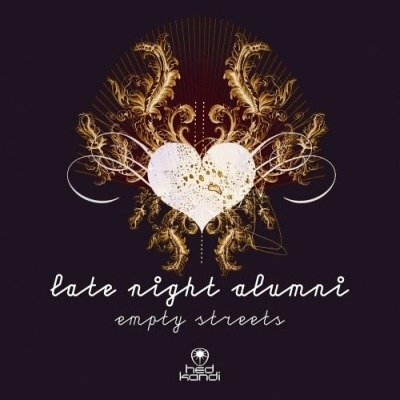 Today we’re taking a close look at Rainy Day by Late Night Alumni. This is a new song to me; suggested by my singer. This song is actually a reasonably complex piece with quite a lot of things going on. From its orchestral accompaniment to its electronic intro and bridge, this song really covers a wide range of musical influences. This song also features some interesting dissonant chords (and I always appreciate well used dissonance). Want to get up to speed? Here’s the track. Instead of simply listing out the instruments I want to describe things a bit. There’s a lot going on with this song. Initially in the song you are greeted with wonderful electronic sounds and excellent manipulation of the vocals into some pretty cool effects. Soon thereafter you’ll find yourself sitting in the string section of an orchestra, to your left someone with some really cool bells. What else do we have? Well, all the usuals are there: bass and drums. Initially the harmonies are established by a rhodes-like electric piano but quickly into the song this loses the focus and your ears gravitate toward string and horn harmonies. Did I mention horns yet? Yep, there is a horn section too. Unfortunately my ears aren’t good enough to recognize which of the horns but there are multiple trumpets and I sense some brass in a lower register as well. The trumpet plays the lead part for most of the song in fact, at least, when the horns aren’t being used as harmony explicitly (verse 2). There are a couple of spots where the song breaks down and the producers use a little of their EDM background. In both bridges the producers start doing interesting electronic things and subtly including some synth-ish sounds. As for vocals, they are mostly just sang without too much in the way of double tracking. There’s some interesting reverb effects placed as key points in the song and minimal background vocals (they are used quite well too). Aside from all that I imagine there’s some mix magic going on to make sure the song is filled out everywhere. You’ll notice that the first verse lacks a bass line but feels full. I’m not sure how this is being done but it could be low end from some strings or somewhere else, it certainly doesn’t seem like a rhodes could round out the bottom end like that on its own or at least, not without me noticing. I had a fun time picking this song apart. At some points there is so much going on I had difficulty pulling figuring things out so bear with me. Here’s the structure as I see it. For the beginning of the song we have cool effects, then we are greeted by the verse’s chord progression in the form of strings. Some bells play something eerie in the background. As soon as the first verse kicks in (i.e. when the vocals start), the strings and the bells fade out and we’re met with a electric piano and a simple drum pattern backing up the vocals. There are no backup vocals happening during the first section of the song. The drums through the first section are relatively simple with some very subtle things happening in the background. First and foremost you’ll notice a simple kick snare pattern going with the chord changes (1-2-3-break for the first verse). The snare element is a rimshot. There’s a very light ride element pushed to the back and it has a very ‘swing’ feel to it. There’s also a very subtle snare hit that happens from time to time way in the back as well, I see this hit more as an element of groove whereas the function of ‘snare’ is that rimshot. I noticed an extra kick hit leading into the prechorus and a drum edit leading into the second verse. The chords sound different to me in both the Verse, Prechorus, and Chorus. There’s quality use of cadences in each part to lead into the part that then follows it. These themes continue in the later sections of the song. During the prechorus it seems to me as though they change the reverb on the lead vocal to make it sound a bit ‘bigger’. The way the chords in each part are played differently in terms of their timing. The kick changes to match where the chords change in each section. This is also reflected in future sections of the song. The first chorus is where the trumpets enter. Verse 2 is where everything comes in. We have bells, strings, horns, bass. The rhodes is still present too in the harmony but you really have to listen for it with everything else going on. The brass, rhodes, and strings are all playing our chord progression from the first verse. As we enter the second prechorus, after the first line of it were greeted with an angelic background vocal. The drums are more or less the same here with the exception of the ride element. With this section of the song the ride is much more prominent than the first part of the song. The trumpets take care of the transition into the solo. There’s also a break in all instruments before the solo starts. The solo is a trumpet solo. It spans three primary progressions. The first is unique to the song and has a very electronic feel to it. During this section there’s use of some interesting production techniques and it manages to stay fairly varied. 4 bars in the strings kick in and play the chords from the verse. We still have our trippy electronic stuff going on in the background. This then becomes the prechorus which lands on its cadence and into chorus 3. In chorus 3 our trumpet continues to rock out. This leads into what I called bridge 2. We have the chorus vocal being warped, synthesizers, and other effects happening. This is a very short bridge, 2 bars, and leads into the third verse. When it comes to the third verse I wasn’t sure if I should call it a verse or if there was another, more appropriate, musical term for it. For this section we have an entirely new chord progression, its very uplifting. We’ve also got backup vocals and a horn/string harmony. The drums pick things up a little bit with more of a heartbeat style kick pattern. The ride element starts off weak and then gets more intense halfway through. As the final verse ends and goes into the outro the trumpet basically goings full jazz fingers on us and rocks out with some effects and a drone bass until the song ultimately fades out. First and foremost I’m glad I took a look at this song. This structure is not one I have ever really imagined before. I think its particularly interesting how they applied their chorus. In many songs when you hear a chorus it will tend to repeat itself, even within the confines of a single chorus. In this case they chose to go with a sort of ‘one shot’ chorus. What it allowed them to do though was to slide in those extra parts and have a more complex song without writing a 15 minute epic. The second thing I find fascinating about this song is the orchestration. The way that the electronic elements were combined around the orchestral ones, those being the strings, horns, and bells. They manage to completely jump into an electronic mindset a couple times in the song without losing the natural feel provided by the orchestral sections. While I’m on the topic, I must add – I’m a complete sucker for strings. Very rarely do I feel like a song embarks on having so many distinct progressions in the music I listen to. If you remember last weeks song (In the Waiting Line by Zero 7) you might remember that we had one chord progression for both the verse and the chorus with only the prechorus to really differentiate it harmonically. In this song we’ve effectively for 4 progressions, but you could easily argue for more if you count the particularly unique portions of the song like the bridge and the outro. A lot to think about for sure. Special thanks to my singer (hi ali!) for choosing this track. See you folks next week (well, maybe in two, holidays and all). Next week I’ll take a look at a track from Mum.